Howard and I are thinking of going to the movies. We want to see "Frost/Nixon." It is playing at the North Park. That is a picture from "Frost/Nixon" up above. You would think it would be no big deal, two suits talking, but it is a big deal for me! Since I was in California with Leonard Pennario I have seen hardly any movies. Pennario and I used to go all the time. When the Oscars last year came up I was very informed, I have to say that. We had a list of all the contenders that we went over and discussed on a daily basis. Now I can easily count the movies I have seen since I got back, because there have been hardly any. I saw "The Reader." It was OK, I guess, but so much of it was predictable. I saw "Slumdog Millionaire" which, the less I say about that one, the better. Howard did not go and now he wants to. Sorry, I say. I have already seen that one. I do not want to see it again. That is for sure! Next I was thinking I might like to see "The Curious Case of Benjamin Button." The only thing is, I loved the F. Scott Fitzgerald story, and now I do not know if I want faces put to it in my imagination forever and ever. Cate Blanchett and her leonine face. 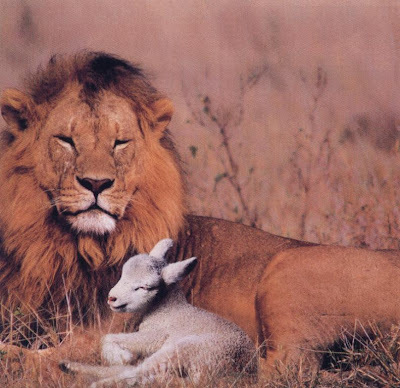 And here is a lion. What else did I see? I am trying to think. Maybe nothing! 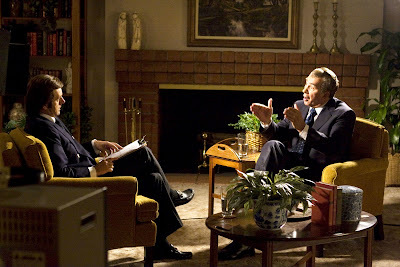 Back to Frost/Nixon. We are going because Howard belongs to an elite group: the fans of Richard Nixon. He thinks that Richard Nixon was one of our greatest presidents. Which, I have opinions about that, but this blog is about Leonard Pennario. It is not about politics! 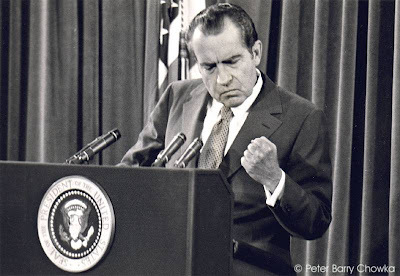 One thing I know, they do not make faces like Nixon's any more. Jackie Jocko knew Richard Nixon, in case I have not mentioned this before. He played for Nixon once in a hotel in California. Nixon had lost the race for governor and he cheered himself up by going to hear Jocko. I understand because when life gets me down I do the same thing. A movie about that evening, when Jocko played for Nixon, that would be more fun than a couple of suits talking, which as I have said is what you see in the picture above. That would be a movie to see! I'm not surprised that someone who sells surveillance equipment is a Nixon fan. Anonymous, it might surprise you to know that a famous pianist once stated that he could flourish in the society portrayed by Orwell in 1984 and he didn't see why anyone would find it terrifying. The pianist? Glenn Gould. I had to laugh to myself when I read about The Reader. I had previously read a posting on Facebook regarding a Movie Critic you know and how it was said he loves movies with naked women. I have to think he must have loved The Reader, although I have not seen it myself, but only read about it. Try suffering an eye injury in which the doc says to keep looking straight ahead as often as possible for several weeks. I've seen 12 movies in the last two-plus weeks.